Running your own limited company can have some serious tax advantages compared to working as a sole-trader or being in employment. However, having to hand over money to HMRC to cover a tax bill is always a painful experience. 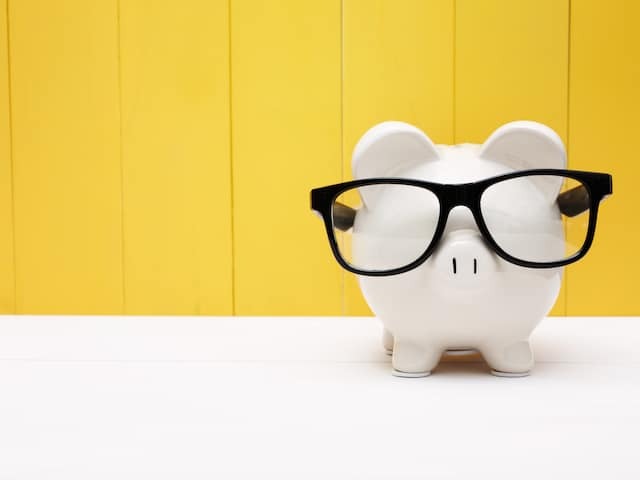 It can be a little bit easier if you’re aware of what the bill is likely to be and get into the regular habit of saving for it. As part of our ongoing mission to improve tax awareness, we’re offering you the opportunity to sit down with us and we’ll help you understand how much to set aside to cover your bills. Regardless of any estimates, the only way to be 100% sure about your bill is by getting your accounts and tax returns done, therefore it makes sense to do the work at the earliest opportunity and not wait until the last minute. The current rate of corporation tax is 19% and it’s a tax on your company profits after you’ve deducted your director’s salaries and any other business expenses. Corporation tax is usually due 9 months after your company year end. I say “usually” because if your company year was longer or shorter than 365 days then the deadline for the corporation tax will vary slightly. It’s worth taking care that you don’t get your company year end mixed up with the tax year end when working this out. You might not have to pay any national insurance on your director’s salary if it’s below £8,164 (2017-18), but rest assured you’ll still qualify for your state pension as it’s actually possible to do this without paying national insurance. If your director’s salary is greater than £8,164 then you’ll need to pay national insurance at 12% on anything above this amount, this is usually due annually in April and we’ll notify you on how to make the payment. We would only increase your director’s salary to above £8,164 if you have employment allowance remaining, which would generate a 19% corporation tax saving, plus 7.5% dividend tax saving for the extra 12% employee’s national insurance you’d pay. We’ve covered monthly PAYE employee tax payments in the “Hiring Staff” section. We’ve got a separate section on VAT and we’d recommend you read it regardless of if you’re VAT registered as it has some important information that might help you make the decision. Dividend tax is usually 7.5%, which might sound cheap, but you would need to bear in mind that your company has already been charged 19% corporation tax before the dividends. If your company has issued you with substantial dividends, then it’s likely that you will have some dividend tax to pay. This is done through your self-assessment tax return and the payment dates are based on the tax years. The first dividend tax payment is due by the 31st January, following the end of your tax year. This means that for any dividends issued from your company during the tax year ending 5th April 2018, you would have a whole 10 months to get the dividend tax payment in by the 31st January 2019. However, when you make your first dividend tax payment for the year ending 5th April 2018, HMRC will move you on to a system where you start pre-paying tax every six months for the next tax year ending 5th April 2019. These are known as payments on account and they are due every six months by the 31st July and the 31st January. If you’re wondering how HMRC can charge you 50% of your tax bill for the year ending 5th April 2019 on the 31st January 2019 when you haven’t even submitted your tax return yet. The answer is because even though they don’t know how much tax you owe, they’re assuming it will be the same as the year before. The chances are your tax bill won’t be exactly the same two years in a row, this means that over the course of a year, you will end up over or under paying tax and will need to make a catch-up payment or receive a refund when the return for that year is filed. The table below gives an illustration of how this could work. As you can see, the first payment for dividend tax on the 31st January 2019 is the worst as you’re paying all or last year’s bill, plus half of next years all in one go. This has caught many small business owners out over the years, so don’t be one of them! It’s worth noting that payments on account only apply if your tax bill is over £1,000, so you may not have to make them and just end up paying tax every January.